What's Covered In The Using Green Manures in Winter Quick Guide? How Much Does The Green Manure Quick Guide Cost? 100% Money Back Guarantee. We try to price all our Courses so that they are accessible to every serious gardener who wants to grow bigger quantities of better tasting vegetables and fruits - and our Mini Courses are no different. The investment is less than the price of half a tank of petrol. But if you're not sure, let me tell you that your £12.50 investment is 100% safe. If within 30 days you decide for whatever reason that the Quickguide is not for you, all you have to do is drop us an email and let us know. We'll refund your payment promptly with no hassles and no hoops to jump through, and we can part as friends. So It's Time To Make A Decision: You should have all the information you need to decide whether the Green Manures Quickguide is for you or not. CLICK the big yellow 'JOIN NOW' button below and you'll be taken to a Paypal screen where you can enroll to the Green Manures Quick Guide. (If you don't have a Paypal account you can still enroll using a Credit Card.) 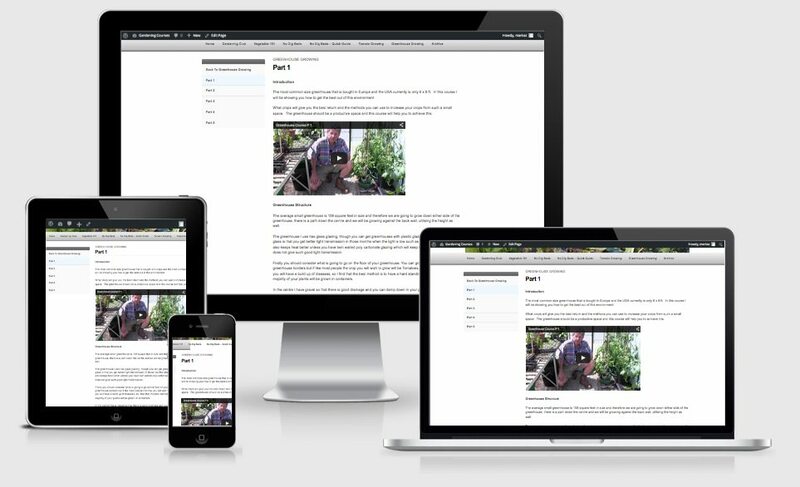 Once you've enrolled on the course we'll manually add you to the Gardening Courses site within 12-24 hours (but usually much sooner) and send a welcome email with log on details. If you don't receive that email for any reason, then don't panic, simply send us an email and we'll work out what went wrong in the process and get you added to the site manually. So go ahead. Click the big yellow button below and JOIN NOW.